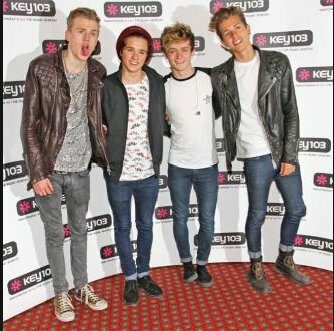 Photo gallery of The Vamps wearing various pairs of chucks. 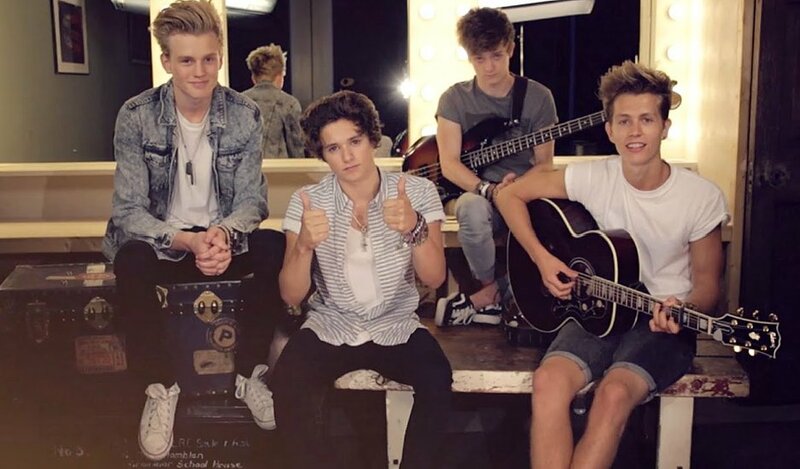 1 The Vamps The Vamps in their dressing room before a concert. 2 The Vamps Casual shot of the band at a park. 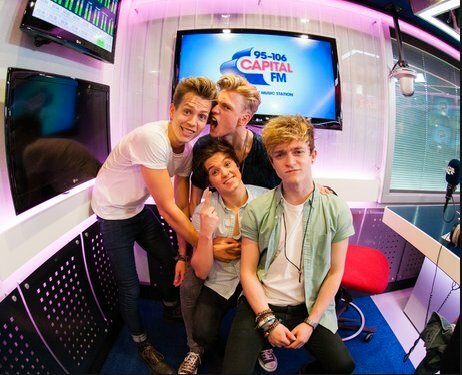 3 The Vamps Shot of the band at a media event. 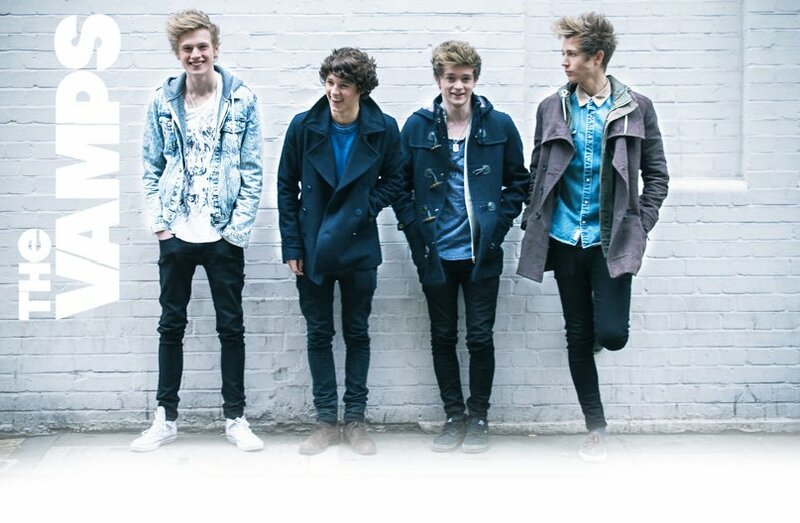 4 The Vamps Wallpaper picture of the band. 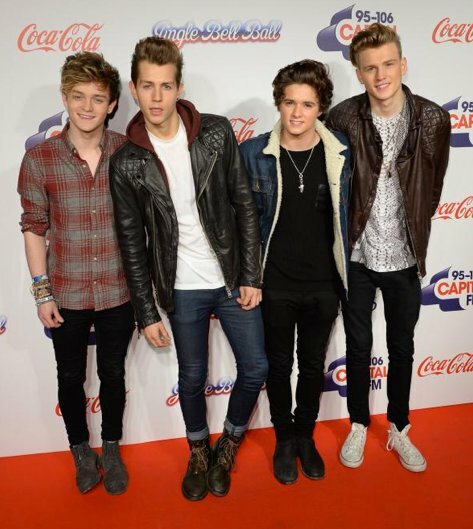 5 The Vamps Comic pose of the band at a media event. 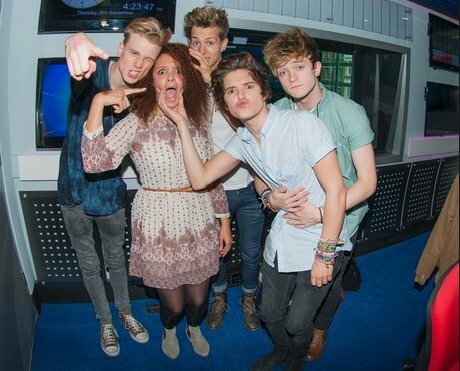 6 The Vamps Another comic pose at the same event. 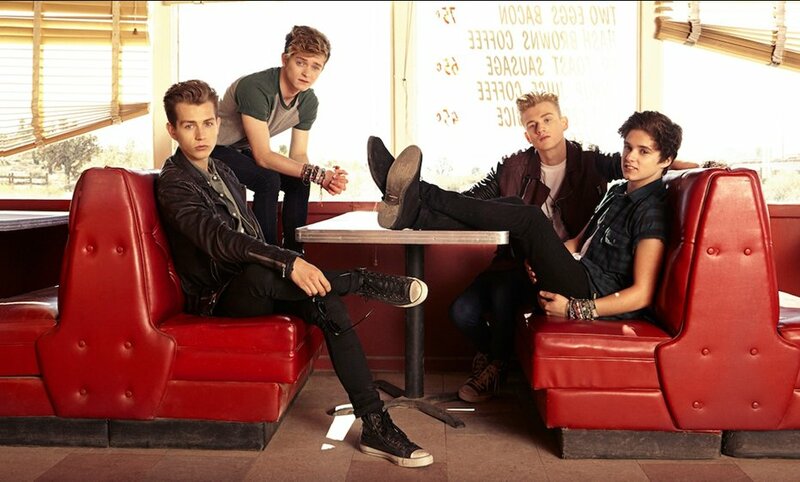 7 The Vamps The band seated in a restaurant booth. 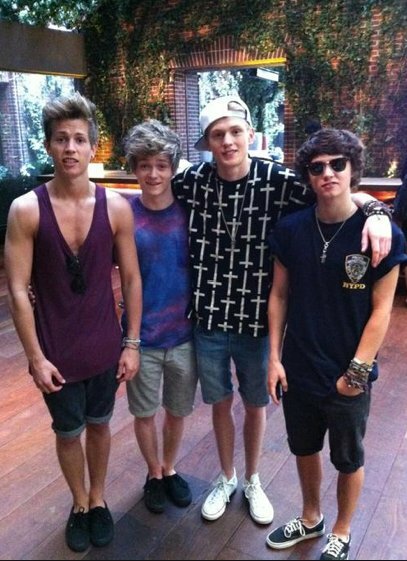 8 The Vamps Casual pose on a hot summer day. 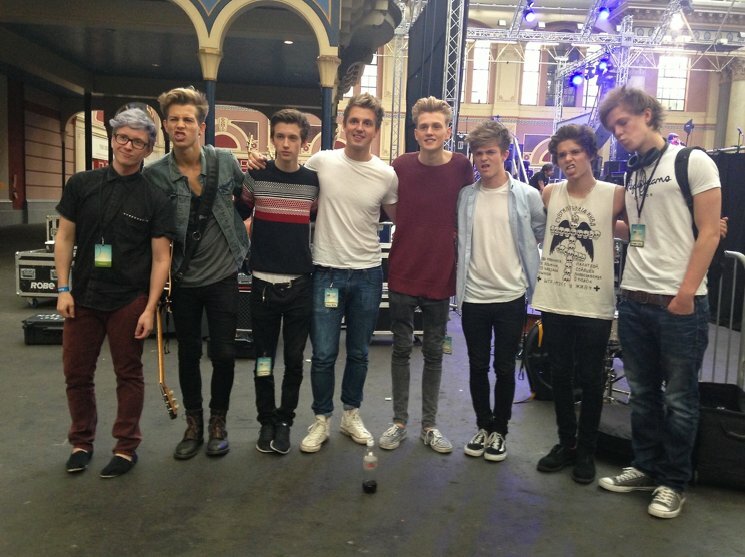 9 The Vamps The band posed with some other musicians. 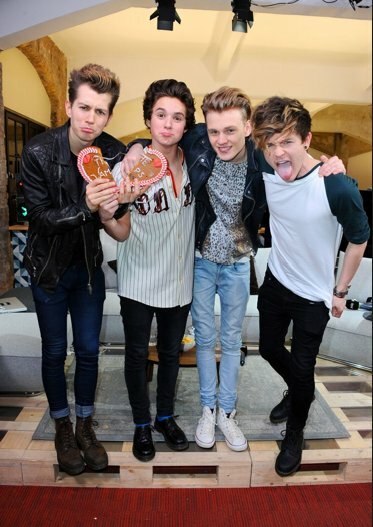 10 The Vamps Posed shot at a media event. 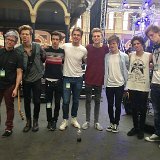 11 The Vamps The band in front of a set. 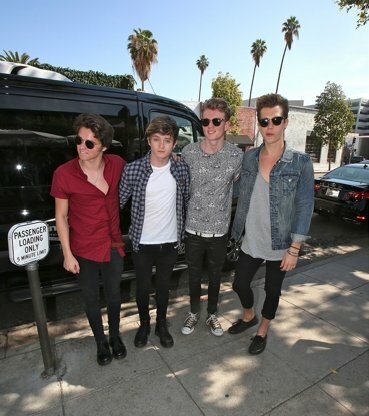 12 The Vamps The band outside a restuarant. 13 The Vamps Album cover for The Vamps. 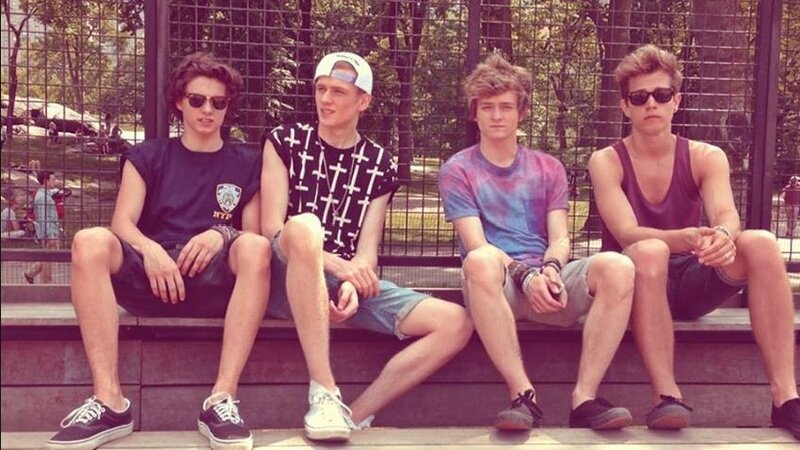 Tristan Evans and Bradley Will Simpson sport black high top chucks. 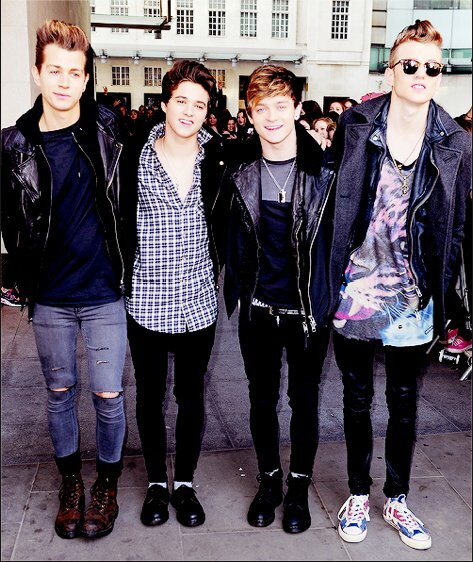 14 The Vamps Posed shot of the band at a media event. 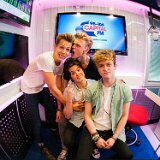 15 The Vamps The band going moblle. 16 The Vamps Comic pose with a broken heart. 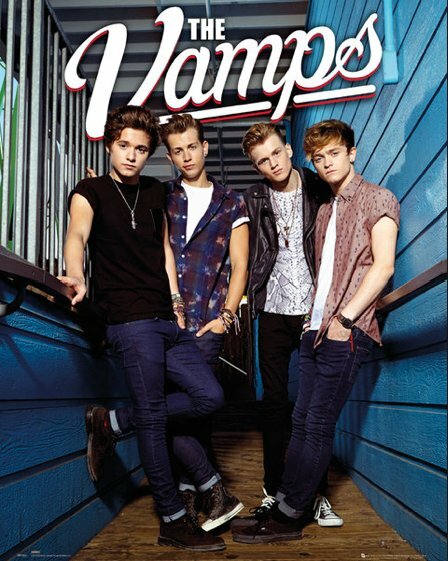 17 The Vamps Poster of the band. 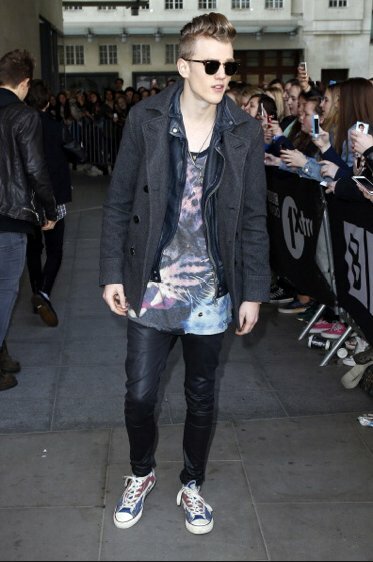 18 The Vamps Tristan Evans wearing flag print high top chucks. 19 The Vamps The band posed outside a performance venue. 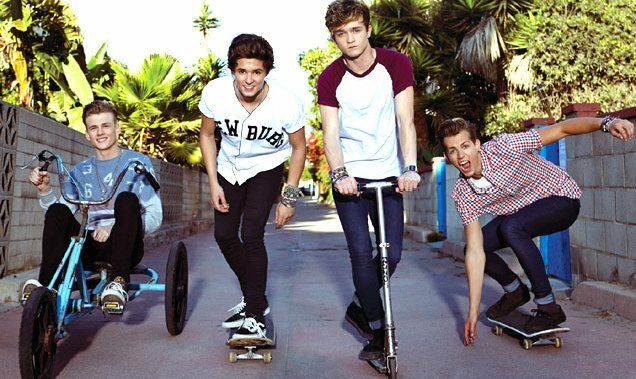 The Vamps are a British pop rock band consisting of members Brad Simpson, James McVey, Connor Ball and Tristan Evans. 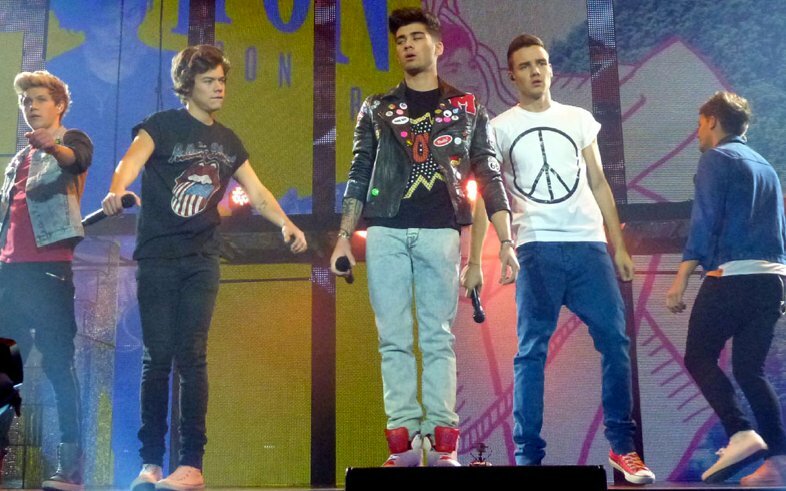 They formed in early 2012 and signed to Mercury Records in November that year. 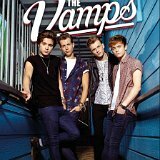 On 29 September 2013, The Vamps released their debut single "Can We Dance", which debuted at number two on the UK Singles Chart. 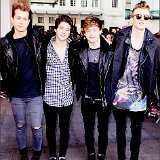 Their second single "Wild Heart" was released on 18 January 2014 and peaked at number 3 on the UK Singles Chart. 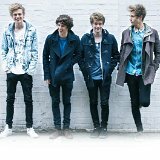 Their third single "Last Night" was released on the UK radio on 24 February 2014 and will be released on 6 April 2014. 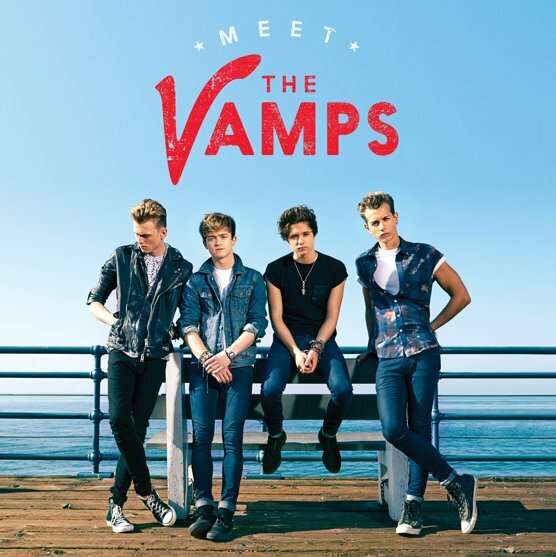 Their debut album Meet The Vamps will be released on 14 April 2014.